The garden at Mount Edgcumbe on the Rame Peninsula near Torpoint has evolved over almost five hundred years. It began when the Edgcumbe family of Cotehele established a deer park here in 1515. 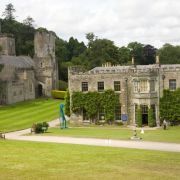 Later an imposing residence was built, overlooking the Tamar River and surrounding countryside. Apparently the property was coveted by the leader of the Spanish Armada, who vowed he was going to own it. However, an enterprising member of a nearby bowls team put paid to that boast! The early gardens, developed around the house, were in an early formal style popular at the time. These were later superseded by the classical style of layout popular in the 18th century. Around this time, many of the trees were felled. This was a government demand, due to the threat of invasion. It resulted in a more open vista down to the river. The spaces created by the felling were used to create individual gardens, such as the English Garden, decorated with classical structures. Further formal gardens were created in the first half of the 19th century. These included both the Italian and French gardens. By the end of the century, these gardens had already become famous and were open to the public every Monday, an unusual occurrence at the time. 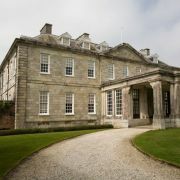 The house and garden are now in public ownership and many of the areas and buildings have been restored by the joint owners: Cornwall County Council and Plymouth City Council. The castellated house had to be partially rebuilt after being bombed during the Second World War. The most elaborate garden today is the Italian Garden with its fountain, stairways and statues. It is also home to the orangery, which is now a restaurant. The Earl's garden is well worth a visit and the shell seat on the Cedar Lawn is said to be encrusted with shells donated by Captain Cook. There have certainly been many notable visitors during the past, including Dr Johnson, Samuel Pepys and the actor, David Garrick. Some of the later additions include a geyser garden, to celebrate the connections of the family with New Zealand. The estate is close to the ferry across the River Tamar from Plymouth and there are lovely views across the river from various viewpoints in the gardens. Although there is an entrance fee to the house and some of the gardens, much of the park is free to the public.